Original- and retro-fit capability means potential for widespread application including some existing vehicle fleets. 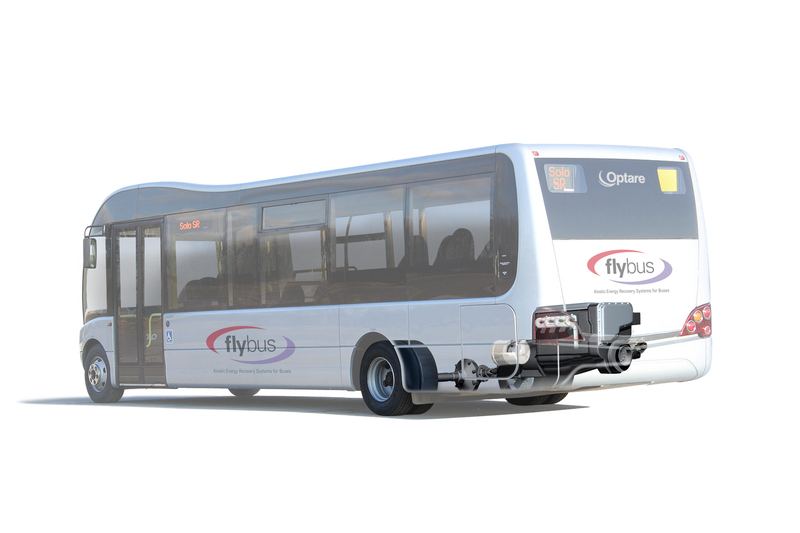 The Flybus consortium led by traction drive specialist Torotrak plc (FTSE: TRK.L) has been announced as a winner of this year’s Low Carbon Vehicle Partnership Technology Challenge. The Challenge this year identified technologies that can reduce the carbon footprint of heavy goods vehicles such as trucks and buses. 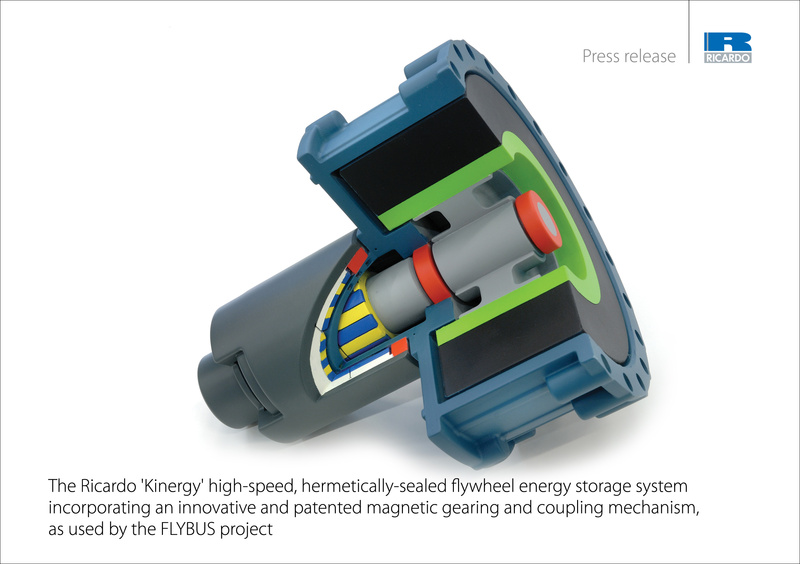 The consortium is developing a low-cost, easily installed, flywheel hybrid system that reduces CO2 emission by around 20 percent during urban stop-start operation. Torotrak’s partners in the consortium include bus maker Optare, providing a Solo bus for conversion, and engineering consultancy Ricardo, providing its high-tech Kinergy flywheel technology. 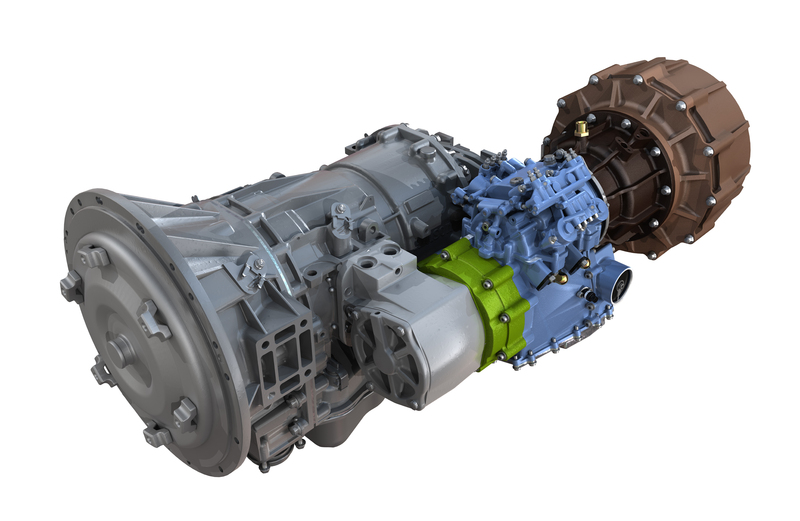 Allison Transmission Inc, supplier of the Solo’s automatic transmission, is also supporting the project. “The judges were particularly impressed with the system’s potential to be retro-fitted to existing buses and trucks. The technology is a smart combination which allows a clever CO2–reducing solution to many vehicles and fleets,” explains Low Carbon Vehicle Partnership programme manager Roy Williamson. In addition to leading the programme, Torotrak provides the continuously variable drive technology that makes the essential link between the flywheel and the vehicle transmission. As the bus slows, instead of allowing its kinetic energy to be converted into heat in the brakes, the Torotrak variable drive transfers the energy to the flywheel, spinning it up to speeds of around 60,000rpm. A unique feature of the Ricardo Kinergy technology is that it incorporates a patented magnetic gearing and coupling mechanism that dramatically reduces external input and output speeds for more manageable handling by the Torotrak CVT. 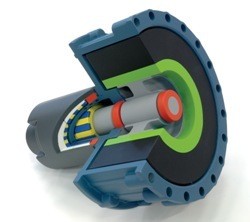 Moreover this coupling avoids the need for a mechanical linkage to the high speed flywheel and allows the unit to be hermetically sealed, thus increasing vacuum integrity while reducing system complexity. As the vehicle pulls away from rest, the variable drive returns energy from the flywheel to the bus, meaning there is less work for the engine to do and reducing fuel consumption. In the process, the flywheel gives up energy and slows down until re-energised during the next vehicle deceleration. The exchange of energy in both directions between systems running at widely varying speeds places exceptional demands on the flywheel drive, making a continuously variable system essential.